It Just Doesn't Get Any Better than This in The Colorado Rockies. The Park Hyatt Resort & Spa is located in Beaver Creek, Colorado. The property was renovated in 2006 and has 190 guest rooms and suites. The bellman got me settled into a corner room on the second floor. It had a great view of the ice rink and a peeking view of the mountain. My iPhone had no problem connecting to the complimentary Internet wireless service or docking with the iPod-compatible stereo, located on the nightstand. OK, these guys are already making a good impression on me! The marble bathroom complements the room's upscale decor. A 40" flat screen TV is nicely positioned in a media center, perfectly angled to watch while you're relaxing on the king-size feather bed. Daily newspaper delivery is included and if you're hungry, 24-hour room service is always available. Once you've gotten settled, go explore! You don't have to venture very far to have a happy-hour cocktail or access the ski rental facilities to get fitted with what you'll need to hit the slopes. The hotel is centrally located right in the heart of the village. Everything is at your fingertips including ski in/ski out access to the mountain. Wintertime rates for a Village King Room start at $699 per night. With a 9:30am ski date the next morning, there's still time to have a fireside cocktail and get to Beaver Creek Sports to pick up my ski equipment rentals before they close at 8pm. A quick change into a cashmere sweater, jeans, Merrell boots and a Roots Olympic beret and blending in with après ski crowd is not a problem. With my ski boots slung over my shoulder, I'm off to the Whiskey Elk Lounge, just off the main entrance of the hotel. The second floor elevator bank is near a mezzanine balcony that overlooks the Whiskey Elk Lounge. If you get a chance, sit yourself down in one of the oversized chairs here. From this vantage point, you'll enjoy a great birds-eye view of what's going on and you'll be ready to join in on the action when you get to the bar, where you can warm yourself near a roaring fire. The atmosphere is cozy, perfect for chatting over a glass of wine or Colorado micro-brewed beer. If you're in the mood for something a little more sophisticated, the Whiskey Elk Lounge offers a great selection of scotch, bourbon, cognac and vintage ports, too. The live music hadn't started yet but the pool tables were certainly lively. It's always fun to pick up a game and make some new friends. There is no cover charge for the live entertainment. The Whiskey Elk Lounge is open daily from 3pm to midnight. Tel: 970-949-1234. After enjoying a beer at the bar, we're off to Beaver Creek Sports to secure some ski equipment. Getting to Beaver Creek Sports from the Park Hyatt Resort & Spa is easy but you might not want to take the stairs on your first day. You might get winded because the base of the mountain is at an elevation of 8,100 feet. Take the elevator instead. Any mountain journeyman will advise you to leave your skis at home (but bring your own ski boots). You'll save time and a great deal of effort not lugging them across the country. Most mountain ski shops rent the latest top-of-the-line model skis, sharpened and waxed each day for top performance. It only takes about 30 minutes to go through the rental process. You'll have to provide your age, skiing ability and weight to have the bindings set correctly. Ski equipment rentals start at $45 per day. Demo skis are an additional $15 per day and are worth the upgrade. Beaver Creek Sports is open daily from 8am to 8pm. 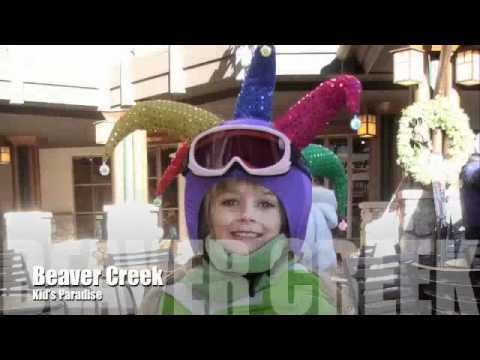 Beaver Creek Sports, Tel: 970-845-5400. Breakfast was at Bivins Restaurant at The Park Hyatt Resort & Spa before hitting the slopes. We enjoyed some fresh coffee and orange juice, then hit the buffet line for egg-white omelets and fresh fruit. At Bivins, the sun shines through floor-to-ceiling glass walls into the dining room. Every table has a great view of the mountain. Breakfast is served between 7am and 10am and costs $35 per person. Lunch and dinner are also served and reservations are recommended. Bivins, Tel: 970-827-6600. After breakfast, we head outside. It's a beautiful morning. There's no queue at the lift ticket booth. A one-day adult ticket is $92, children ski for $56 and seniors get $10 off the adult rate.